With vehicle sensors for every situation and web based analytics, collecting accurate data and understanding your traffic have never been this easy. 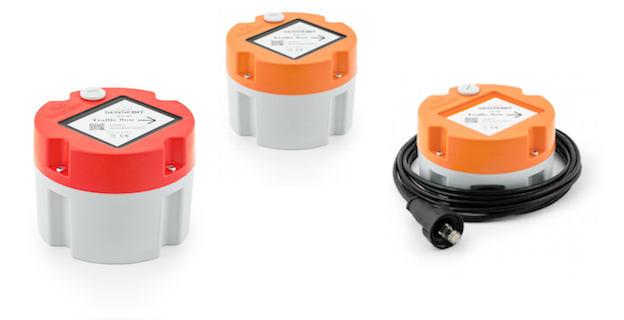 The vehicle sensors from Sensebit deliver independently verified accurate data and are available in several configurations depending on the application. Whether you need to measure a busy urban intersection or a remote dirt road, our sensors can help you do it cost efficiently and accurately. * Test by the Nordic traffic authorities research cooperation NordFOU. Download report summary. We continuously participate in third party tests organized by road administrations and research organization throughout the world to assert the performance of our vehicle sensors. All accuracy claims are based on independent and published reports. 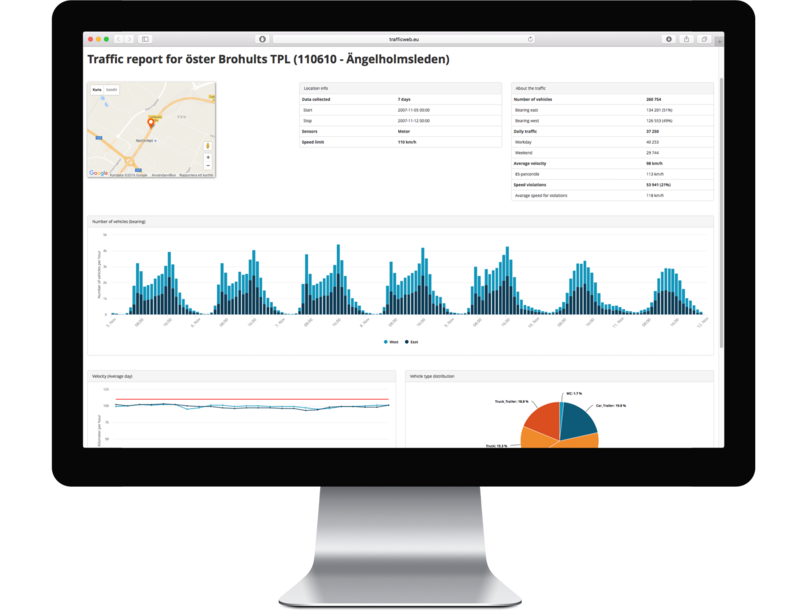 With Sensebit’s web based analytics tool TrafficWeb, you can view your data with interactive reports from your office computer or mobile device. If paired with vehicle sensors from Sensebit, you can handle all your measurements with a few clicks. With a web based analytics tool you can access your data and initiate measurements on any computer or mobile device. With interactive charts you can get the information you need instantly. No need to ask anyone for that report. Access data, reports and initiate measurements from wherever you want with you smartphone or tablet. TrafficWeb is built to be user friendly so that you can focus on understanding you traffic rather than the interface. Lund is a city in southern Sweden with approximately 90 000 inhabitants. The city is known for it’s large university, Lund University, established in 1666. To monitor the traffic development in the city centre, Lund has used pneumatic tube measurements on all arterial road for decades. To get more frequent and accurate information about the traffic development, they decided to switch to the WD-300 wireless vehicle sensor from Sensebit in 2015. By combining sensors at every arterial road with the web based analytics tool TrafficWeb, they can now monitor the development in traffic flows with better accuracy, at a lower cost and without any traffic disturbance during measurements. Nacka municipality is located in Stockholm county and has approximately 100 000 inhabitants, a number that keeps increasing. Due to the increase, keeping accurate track of traffic is essential to have time to make necessary changes to the infrastructure before the traffic flow decreases due to overloads. Nacka has selected a combination of continuous and periodic measurement points to get the statistically verified average traffic volume for the whole municipality. They have chosen the ED-100 from Sensebit combined with the web based analytics tool TrafficWeb to get accurate measurements 24/7 from key roads and intersections as well as an overview of the traffic volume in the whole municipality. The WD-300 vehicle sensor from Sensebit gives accurate counts and classification according to new study from the Swedish Transport Administration.